I accept that film adaptations of books will be different. They have to be and they should be. However, it’s wise to retain the core concept of the book otherwise the studio is just paying for the name and hoping they’ll sucker in soon-to-be-disappointed fans of the novel. That appears to be the case with the adaptation of Max Brooks’ World War Z. The plot of the book takes place after a zombie apocalypse and has a researcher for the UN going around the world to determine the cause. A mock documentary style would probably work best since the novel has multiple points of view. I can understand the need to whittle down the movie to a single POV especially when that POV is from a character played by Brad Pitt. But the official synopsis Paramount just released for the film shows that Paramount has gone far beyond that alteration. Hit the jump for the synopsis and my reaction. The movie also stars Mireille Enos, Anthony Mackie, James Badge Dale, and Bryan Cranston. 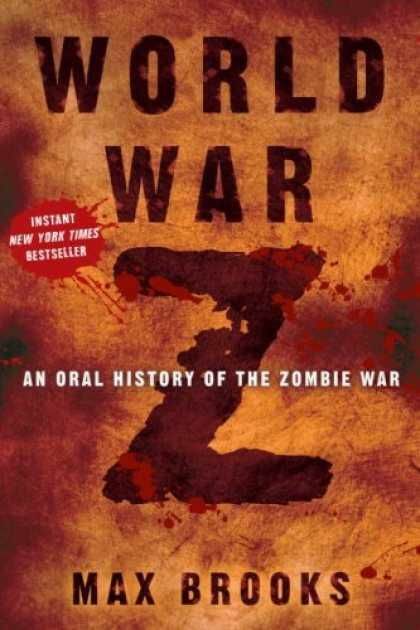 World War Z is due out December 21, 2012. This isn’t a total surprise. In March we reported that Paramount was trying to find a partner to co-finance a PG-13 tentpole flick that was originally scheduled for June 2012. The studio eventually got the money for their big action movie and that’s what World War Z will be. Setting aside the question of what a PG-13 zombie movie even looks like (although considering what The Walking Dead gets away with, who knows). Fans will wonder why even bother calling the movie “World War Z” and the answer is what I told you above: because Paramount wanted the name. They also didn’t anyone else to make the movie. While Paramount’s World War Z is unwisely dumping what made the novel so popular, that doesn’t mean the movie will be bad. Getting Marc Forster, the guy behind Quantum of Solace, The Kite Runner, and the acclaimed and astoundingly mediocre Finding Neverland), to direct is why the movie will probably be bad.